A graphic designer, Gold had a specialty: movie posters. His first was for Jimmy Cagney’s Yankee Doodle Dandy (1942), and the last was for Clint Eastwood’s J. Edgar (2011). In a 70-year span, Gold created thousands of film posters. Such posters were mostly made to display “Coming Attractions” at movie theaters, but their artwork is so iconic, and make such an impression, they have become much-sought-after collector’s items, perfect for decorating the walls of home theaters. 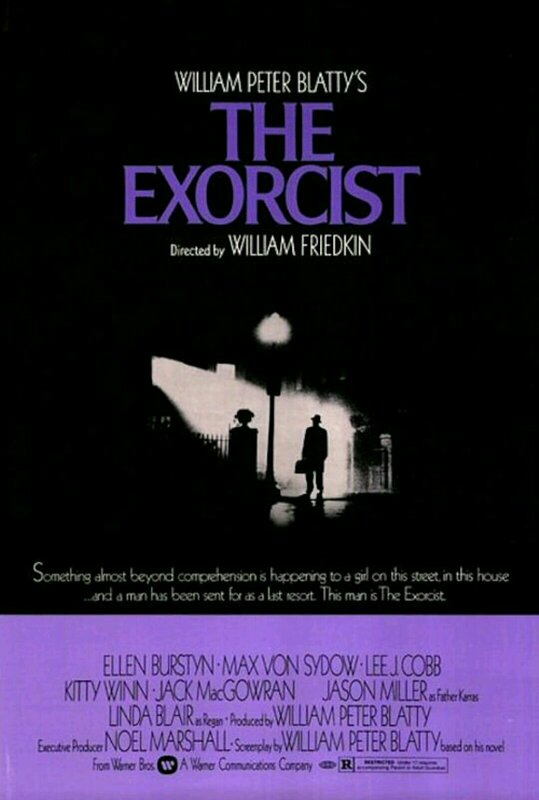 Gold’s poster for The Exorcist. His direction from the studio: don’t include any hint of religion in the imagery. Gold worked for many of Hollywood’s greatest filmmakers, including Alfred Hitchcock, Stanley Kubrick, Elia Kazan, Ridley Scott, Clint Eastwood — and, certainly, many of the not-so-great. “The first image you have of many of your favorite films is probably a Bill Gold creation,” Eastwood said. 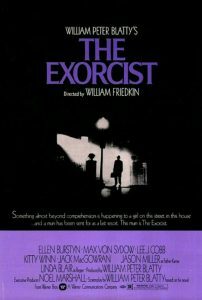 “I can’t discern a Bill Gold style,” said film critic Leonard Maltin, “which is a compliment, because rather than trying to shoehorn a disparate array of movies into one way of thinking visually, he adapted himself to such a wide variety.” A wide variety indeed: Casablanca, A Clockwork Orange, The Exorcist, Dog Day Afternoon, Dirty Harry, Strangers on a Train, Bonnie and Clyde, A Star is Born, On Golden Pond, The Wiz, Papillon, Cool Hand Luke, A Streetcar Named Desire, and hundreds and hundreds more. Gold himself said he found it “remarkable the range of styles I’ve used in creating numerous iconic works. It seems a bit unlikely that the designer responsible for the conventional rendering of James Cagney in patriotic garb in Yankee Doodle Dandy could have conceived the frilly pink collage of My Fair Lady, the blobbed, multi-colored hippie images for Woodstock, and the upside-down nocturnal reflections of Clint Eastwood’s Mystic River,” but he did it by “embracing modernism, symbolism, pop art, and psychedelia” on top of his more classic training: “I didn’t forget the early American influences, such as J.C. Leyendecker, or the folksy wit of Norman Rockwell.” Gold “revolutionized the art of the movie poster,” says the Hollywood Reporter, which gave Gold a Lifetime Achievement Award in 1994. Gold retired in 2004 (but was coaxed back by Eastwood for J. Edgar), and died at his Old Greenwich, Conn., home on May 20. He was 97.